For almost 300 years, the British pirate captain has stood accused of deliberately sinking his flagship, Queen Anne's Revenge, so he could swindle his crew out of their share of loot they had plundered. But marine archaeologists, who are conducting a diving expedition on the vessel's presumed wreck, now believe it may have run aground by accident. 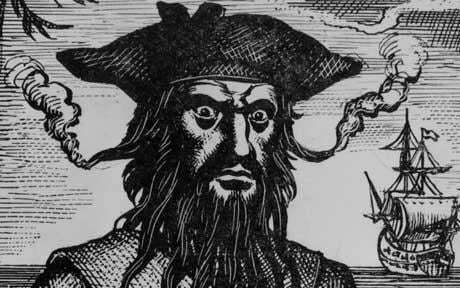 They have even found evidence suggesting that Blackbeard made repeated attempts to rescue the stricken craft. They have discovered a large pile of ballast, including anchors and several cannon, in the middle section of the ship. They believe Blackbeard ordered the crew to move the heavy items from their original positions, near the bow of the vessel, back towards the stern in an effort to lift the vessel's bows from the submerged sandbank onto which it had run.